Spring is just about here…help us celebrate by entering our giveaway! 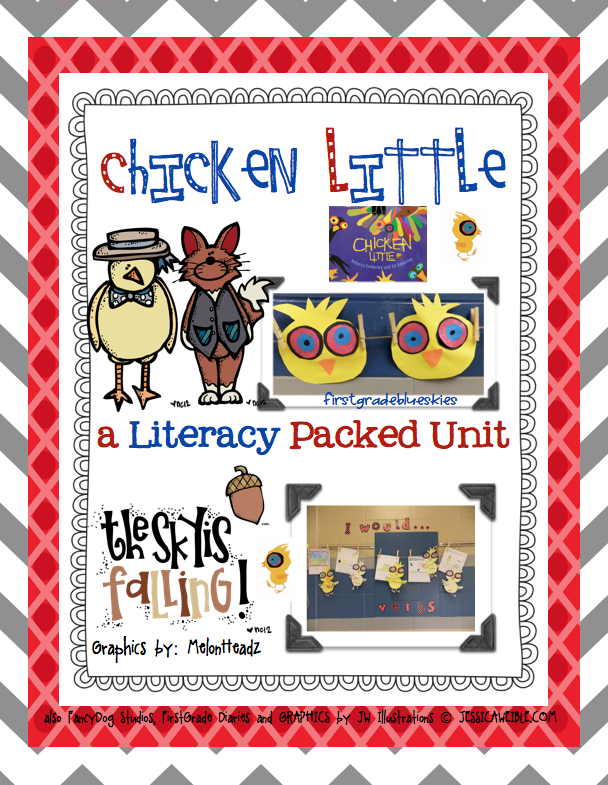 One is a double pack of Springtime Literacy and Math Activities created by the sweetest little blogger, Anna of Kindergarten Khronicles. 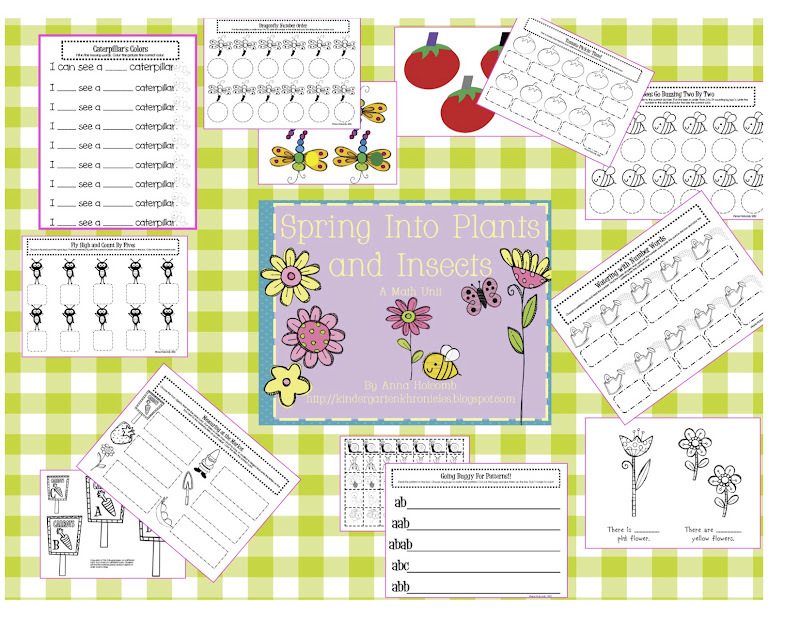 Her combo pack looks AMAZING and offers a ton of things for your kids to use this Spring. What do you do to enter?? Kindergarten Khronicles and her TPT store! Just leave one comment saying you have done those things. And now for your freebie! 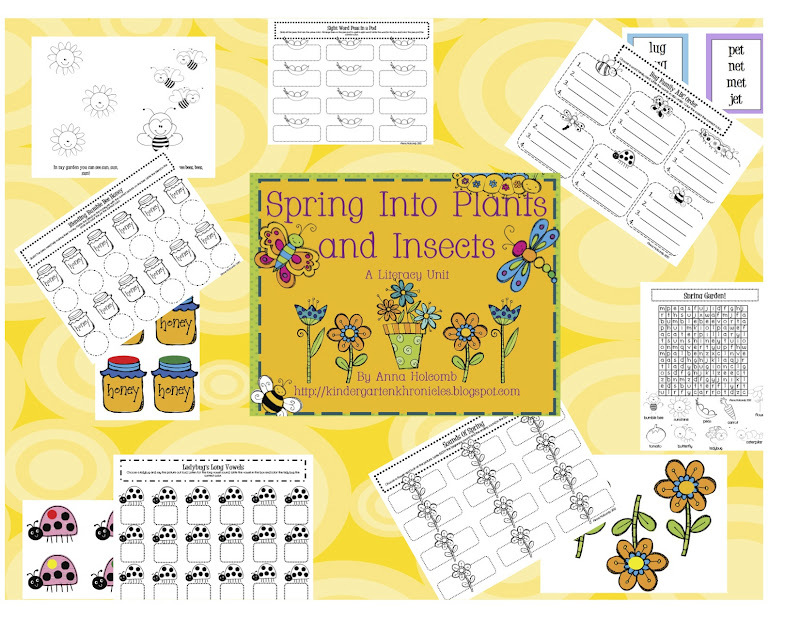 Click here or on the picture below to snag your copy of these springish labeling pages! And don’t forget to enter my other giveaway that ends this Sunday. You could win a HearALL Recording Device from Learning Resources. All you have to do is click here to see the giveaway! Way to Share with Parents! Whoo-hoo!!! I already follow both of your blogs and both of your TPT stores!!! Thanks for the freebie!! I follow both blogs and both TPT stores! I follow both blogs and TpT stores! I'm following both of you in both places as well! Thanks for all the fabulous creations! I'm following both of you on the blogs and tpt stores!!! I'm following your TPT store! I'm also having a giveaway, so stop on over! I'm following KK's TPT store! I follow your blog. and I love it! I follow your TpT store. SN: I love the stuff I bought from you!!! I follow KK TpT store. Thanks for the freebie! Very cute! I follow both blogs and TPT stores. I follow your TPT store! Thanks for the freebie! I follow KK's TPT store. I'm now following both of you!! I follow both of your blogs and TPT stores. Thanks for the freebie! I follow both blogs and stores! The packets look so cute!! Thanks for sharing! I follow and love both blogs and TpT stores! I can't wait for spring…. I follow Kindergarten Khronicles TPT! Jennifer! Great giveaway 🙂 I'm following both of your blogs and TPT stores! I am following both of your blogs and TPT stores! I follow both of your blogs and your tpt stores. Well yes I do follow both blogs and stores and enjoy them both bunches! I follow both blogs and both stores. I follow you both in Google Reader and now both on TPT! 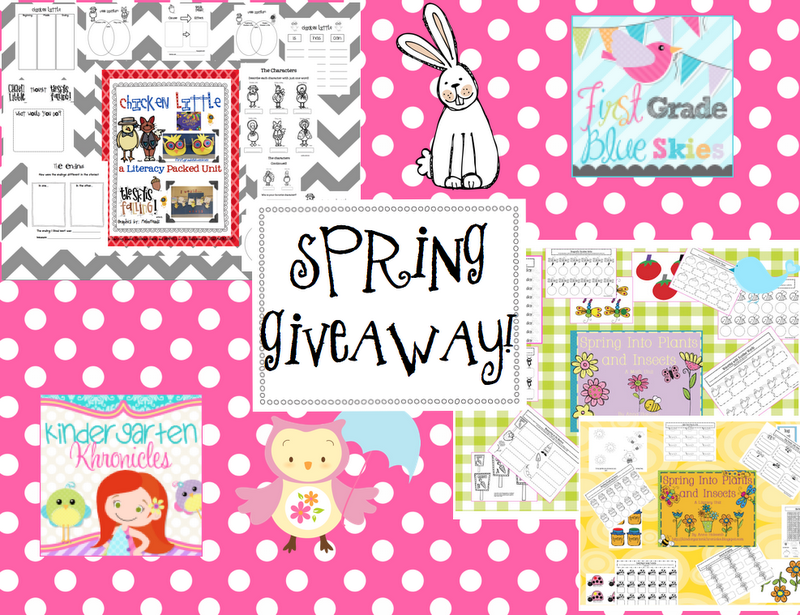 What an amazing giveaway…I <3 SPRING!! I am following both of your blogs and tpt sites. I follow both of you and your stores!! I already follow your blog! 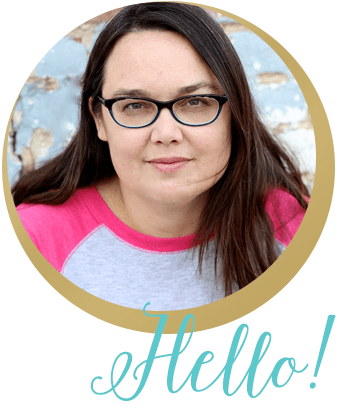 I now follow your TPT store, Anna's blog, and her TPT store! Thanksss! I've done everything and really hope I win these wonderful sets. Thanks for the offer ladies! My name is Maggie Galamore and I also teach 1st grade in Alabama. I have actually just started following blogs. This is my first contest to enter. I really like your stuff and I am looking forward to reading your entire blog to gain more great ideas. I forgot to say that I am now following both blogs and TPT stores. You ladies are the first for me to follow. I follow both blogs and stores! You are two very talented ladies! Thank you for sharing with us. I am now following both of your blogs and stores! I follow all four! great stuff!! I'm following both blogs and TPT stores!!! I follow both blogs and TPT stores!! I did it all and I hope I win!! It all looks great! I follow both blogs and TPT stores. The units look great! Hope I win! I'm a follower of both amazing blogs! I'm follower of both blogs! I am following all 4 places! I follow KK's TpT store…cute stuff! I follow both blogs and TPT stores. I am following all blogs and TPT stores as well! Love your stuff!